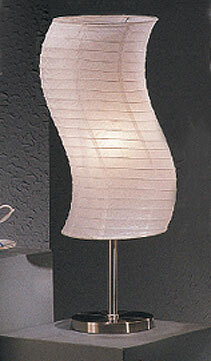 "AMOEBA" table lamp shade is made of white rice paper with wire ribbing. This lamp is UL listed and use a 60-watt bulb. Also available in "Floor Lamp".